Free download TOWeb Latest Version. TOWeb let you browse and edit your site naturally in a live preview, adding and editing content directly into your pages, and offers everything your website needs, including pictures, forms, photo galleries, Google Maps, YouTube and HTML5 videos, polls, and much more — there’s even an entire e-commerce solution built right in to create your online store. 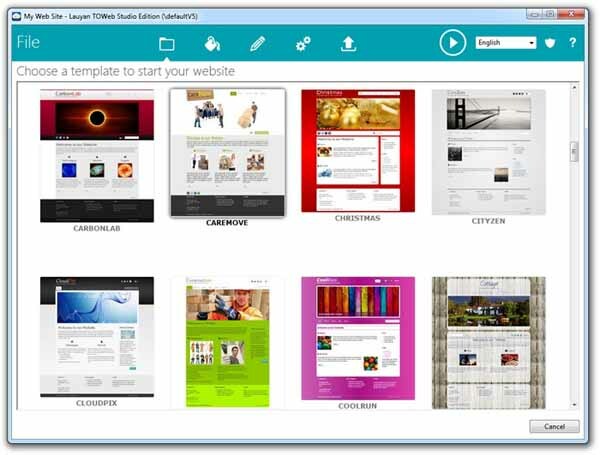 Customize the graphical theme of your website using the built-in theme editor. All CSS3 styles are supported: gradients, drop shadows, rounded edges … each element of the site is customizable, just click on it and change its style to see the result in the live preview. TOWeb includes a complete e-Commerce solution to easily create your online store without paying any subscription. With just a few clicks, a shopping cart with a great checkout experience can be added to your website for selling your products online. Manage your orders, payments (PayPal, Ogone, WorldPay, MoneyBookers, Skrill, SystemPay, WesternUnion, check, wire transfer, …), shippings, taxes, selling countries, sales of digital products (ebooks, photos, music, files …) and much more. A site that’s highly ranked by search engines can increase traffic and bring you visitors looking for what you have to offer. TOWeb generates high quality W3C compliant HTML5 files to ensure your site gets the attention it deserves from search engines.